Emmanuelle Riva died Friday at the age of 89 after undergoing a lengthy cancer battle. 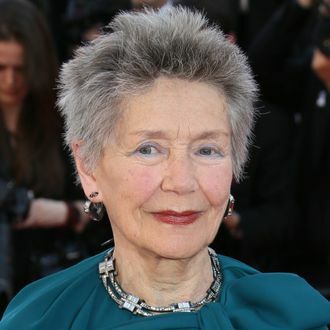 The renowned French actress is perhaps best known to American audiences for her Oscar-nominated role in 2012’s Amour. Riva grew up in rural France before moving to Paris as an adult to try her hand at acting. She found her first international success soon after with 1959’s acclaimed Hiroshima Mon Amour. In the ensuing years, Riva worked with France’s rising new-wave directors, including Gillo Pontecorvo on Kapò, Jean-Pierre Melville on Léon Morin, Priest, and Georges Franju on Thérèse Desqueyroux. While Riva worked steadily in French film over the years, her engrossing return to global attention came with the crushing Amour. Her Academy Award nomination for the drama made her the oldest woman to ever receive a nod at the age of 85.